The Quality Inn hotel in Rockdale, TX located off Highways 77 and 79 near Alcoa Lake gives you more value for your hard-earned money. 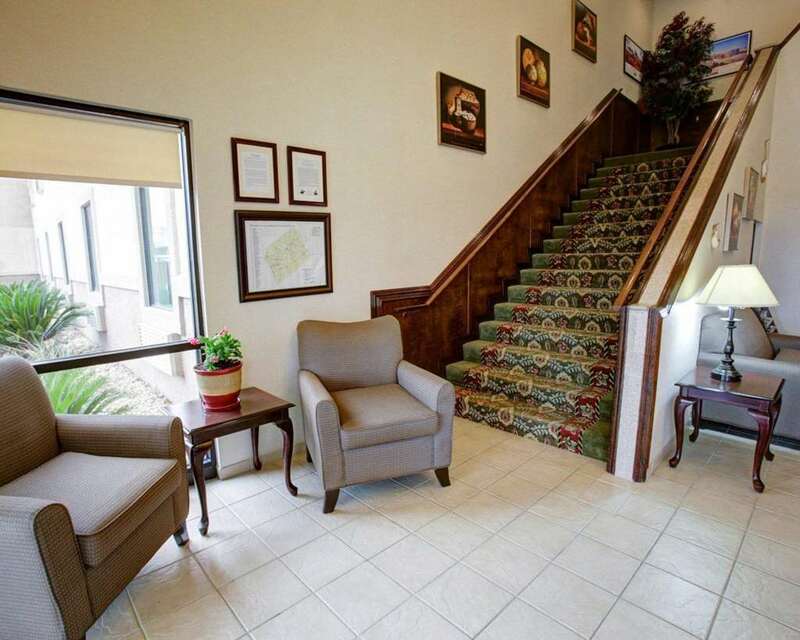 This smoke-free hotel is near destinations like The Rockdale International and Great Northern Railroad Depot and Museum, Kay Theater, The Rockdale Blackberry Farms, Apache Pass Events Center and Pecan Grove Wildlife Arena. Enjoy amenities like free hot breakfast, free Wifi, guest laundry facilities, fitness center and business center with copy and fax services. Guest rooms include HDTV, refrigerator, microwave, coffee maker and hair dryer. Also, earn rewards including free nights and gift cards with our Choice Privileges Rewards program. Non-smoking hotel.